We will be giving a prize for biggest Bonita and “Blue Water Babes” has donated an entry to their tournament (The Blue Water Babes entry will be an automatic entry for each boat that enters). We will have a raffle, silent auction and a great band playing during the awards banquet! Captains Meeting: September 11th, at Guanabanas. Weigh in will be at Guanabanas and Burt Reynolds State Park for larger boats. All Mako Vodka sales will be donated by Guanabanas. 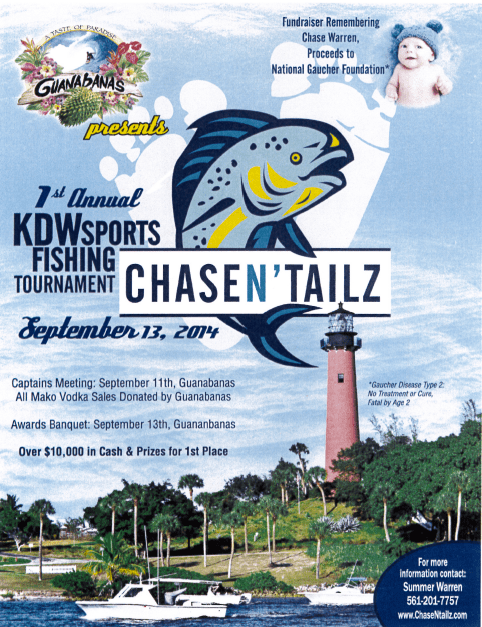 Awards banquet to be held September 13th at Guanabanas after scales are officially closed. All proceeds will be donated to the National Gaucher Foundation. Raffle and Silent Auction at the event.